During a property purchase in North Carolina, you’re going to need a great independent title service to avoid any nasty surprises in your future. When legal records have errors or discrepancies, you need to be protected against any unexpected claims to your land. With problems in documentation being easily overlooked, title insurance is the ultimate failsafe between you and Murphy’s Law. Title agencies are the key to a worry-free property purchase. The trouble is, not all agents have your needs at heart. Independent title agencies exist as a neutral party to serve you– the buyer– and your best interests. 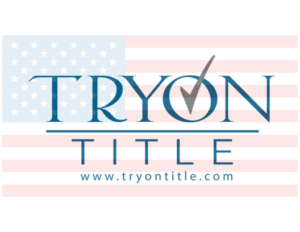 Here at Tryon Title, we want to help you understand exactly what you should expect from your title insurance agency. Let’s begin with talking about what makes independent agencies a cut above the rest. As with any insurance, you’re going to need title insurance agents with no hidden bias towards a specific title insurance company. If your agent is a direct underwriter in the pocket of one company, they have no incentive to help you find the best price or the most convenient service. Independent title agencies work with multiple title insurance companies, and no special persuasion towards any of them. To keep your business, these teams provide underwriting with a focus on keeping you safe from title defects. A great independent agency has relationships with multiple title companies, giving you access to the best value. You not only get a reasonable price, but you’re saving tons of time. These agencies give you a title record cross-comparison from all their associated companies. The result is a rapid turnaround on your requests, meaning you get answers within 24 hours versus days or weeks. Your offerings on title insurance underwriters are far and wide, but you’ll find it’s important to have representation that is wise to local laws. The mark of high-quality insurance underwriting involves keeping up-to-date with the industry and real estate law. This is challenging as local legalities differ greatly between states. If any legal regulations get overlooked, you’ll face a huge headache. Local independents afford you their established, detailed knowledge in these areas, saving even more of your time and money. Furthermore, you’ll find their much more accessible than a distant direct underwriter. Established agencies may have multiple office locations across your state, giving you a very convenient face-to-face experience you won’t find elsewhere. 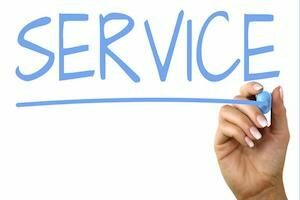 A great independent insurance service is always customer-first. You’re probably feeling like your property purchase is full of legal backflips you didn’t train for. Well, you’re completely right but you’re definitely not alone. As a smart buyer, you’ve already taken a major leap by studying the title insurance process. You now understand what sets independent agents apart, and that’s a great step towards getting the coverage you need. Property titles in North Carolina are required to be protected by title insurance, so the only question is who you choose to protect you. Since title insurance is a one-time purchase, you’ll need to do it right. We at Tryon Title take pride in getting our work right every time. Contact us to chat and see just what we can do for you.